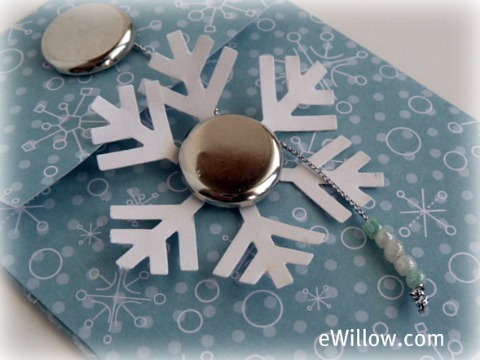 I love snowflakes! 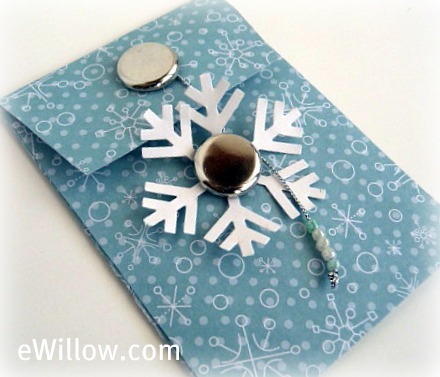 I really love snowflakes when they are used with blue paper and silver accents. 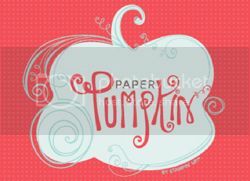 Today's template is for a nifty little gift card envelope. You can download the template HERE. My new obsession is adding little beads to thin ribbon. I like the extra blingy look they give.